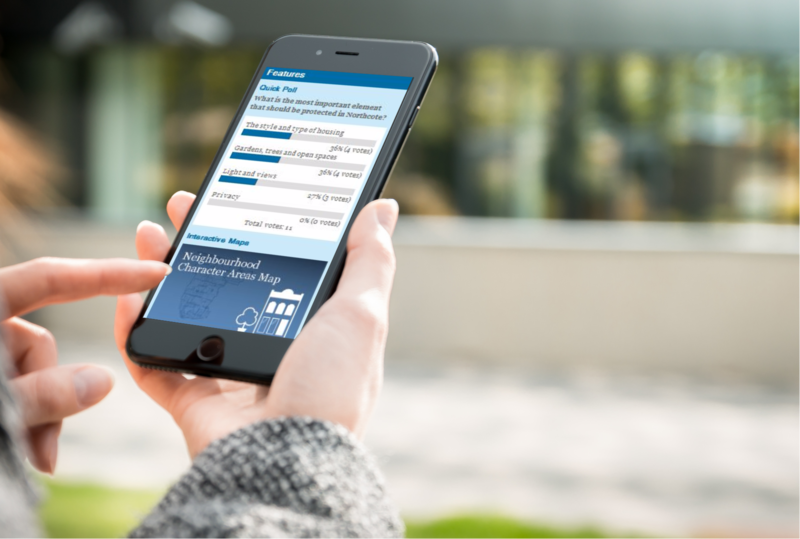 Quickly poll your audience to check the ‘temperature’ of a particular issue or idea. Supplement your content with a quick form of participation that poses a simple question to your audience and gets them to pick from a set of pre-defined response options. 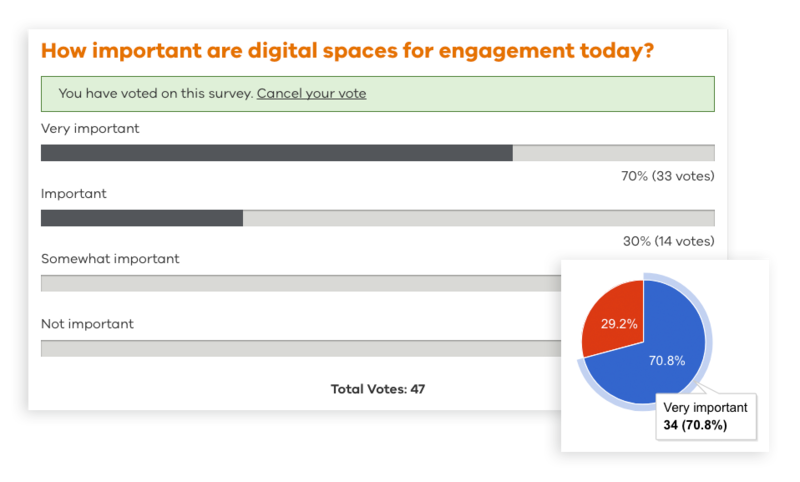 Let your users view the results of the poll as either a pie chart or bar graph, to let them benchmark answers against other user responses. 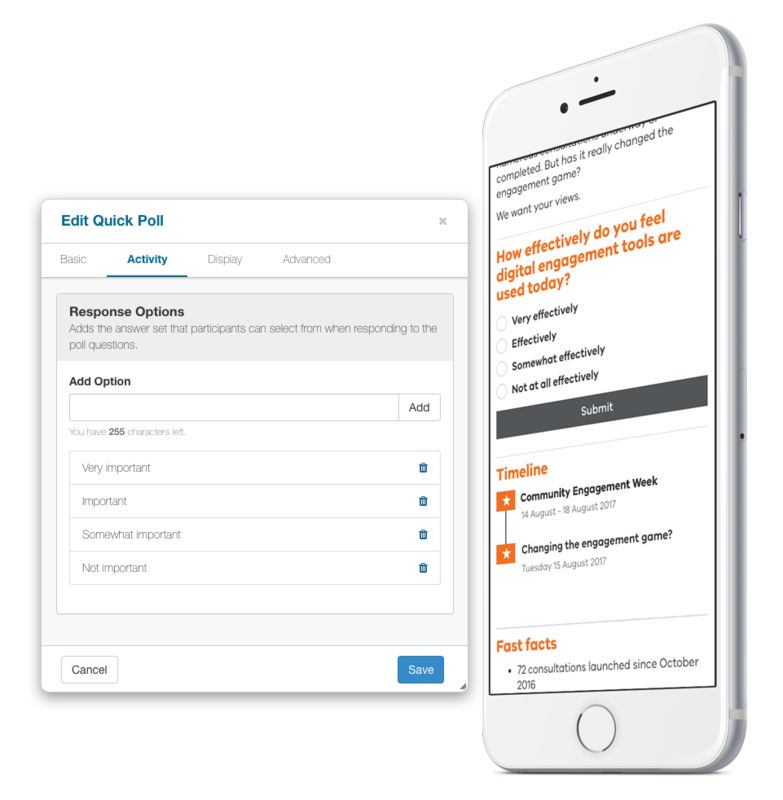 Drag quick polls anywhere on the page including in a supplementary side-bar area, or embed within your main content as a more integrated part of your narrative.